You’ll sometimes find video game Easter Eggs in the darndest of places! Easter Eggs in video games have become deeply ingrained in video games. Ever since Warren Robinett secretly inserted his name in a hidden room of Adventure for the Atari 2600, gamers have become somewhat obsessed with trying to find these little oddities and neat little winks to the player that the game programmers have left in the game. Most of the time, you can find them by entering a certain code or doing something within the game to unlock the Easter Egg. But would you believe that there are actually some video game related Easter Eggs where you don’t even have to boot up the game to find them? This isn’t going to be the first instance where the developers left something on the disc that you couldn’t play directly on the original Sony PlayStation… but this is definitely the funniest! If you put in Tiger Woods ’99 for the PlayStation in your PC and look at the files, you’ll see a rather innocuous file named ZZDUMMY.DAT. Most people wouldn’t give it a second look or even try to mess with it as it does suggest that it’s game data. However, it actually isn’t. If you go ahead and open up the ZZDUMMY.DAT using your PC’s built-in media player, you’ll be able to watch the very first South Park short ever made, Jesus vs. Santa! The video is only available in the first version of Tiger Woods ’99, unfortunately. When the Easter Egg was discovered, EA promptly recalled the game and released another version that rendered ZZDUMMY.DAT unplayable. It’s apparently still in the disc but just can’t be played anymore. Weird. Sony did their best to differentiate PlayStation CDs from regular ones so no one would make the mistake of putting game discs into any CD players. Apparently, some people didn’t notice. Castlevania: Symphony of the Night for the PlayStation is a seriously fantastic game. You may think you finished the game after battling Richter but that only means you’re only halfway done! You still got a whole upside down castle to explore, chock full of hidden rooms and weapons. Castlevania: SotN also has one of the coolest hidden Easter Eggs. After inserting the black bottomed disc in your typical CD player, skip the first track as that’s the one that contains the actual game data and will just play really loud static. Go ahead and play track 2 and you’ll hear Alucard lament that you’ll still try playing the track with the game data anyway before you hear a techno remix of Dracula’s Castle! And you thought finding one hidden song was cool? Well, what about the entire freaking soundtrack? It turns out that some developers can be incredibly lazy and not actually convert the music tracks into actual data tracks. But it’s a laziness I can get behind as made it possible for some of the games to have playable soundtracks on the discs! I myself had discovered two games that had all of their in-game music playable on a CD player: Dance Dance Revolution and The King of Fighters ’96 for the PlayStation. I will have to touch on this a little bit as, for me, this was actually something I found out on my own! I didn’t read about it from a gaming magazine like I did with the hidden Castlevania: SotN track. I actually went through the trouble of going through my entire library of PlayStation games to find the ones with hidden songs. So, imagine my surprise that I could actually listen to the entire Dance Dance Revolution soundtrack without having to look like an idiot by stepping on a mat with arrows on it! However, I was much more pleased the King of Fighters ’96 songs can be played, albeit they are chopped into two parts to simulate different rounds. That’s because SNK sure knows how to make really great music! I mean, just listen to Geese’s theme song! There are probably more than those games out there than just the two I mentioned. Honestly, I actually wished I found more games with developers that couldn’t be bothered with making their music tracks piratable! Most games have one or two Easter Eggs in them. But I don’t know any other instances where the game is the Easter Egg! Now, most of the time, unlocking extra features would be done by entering a code while playing the game. 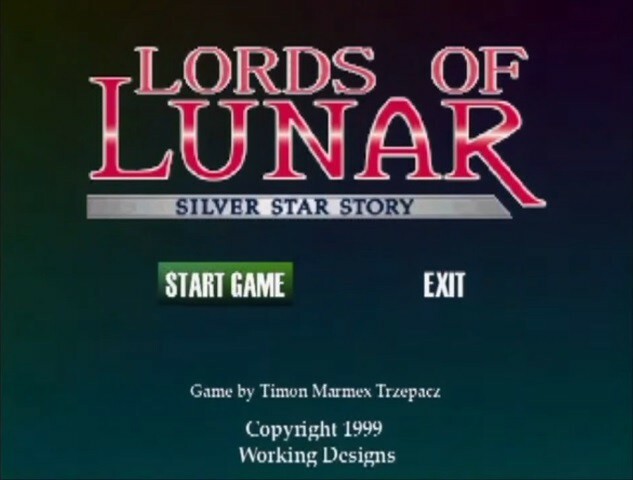 But Lunar: The Silver Star Story Complete did something different: you had to enter a code while playing the special “making of” disc to unlock a game! Once you insert the “making of” disc and the video starts playing, enter UP, DOWN, LEFT, RIGHT, TRIANGLE and then press the START button. If you got the code in correctly, you’ll be taken to a game called Lords of Lunar. It’s essentially Warlords on the Atari 2600 but better as Lords of Lunar supports a total of eight players! The game itself isn’t graphically intensive but it’s actually fun if you’re playing against another person. Things can get hectic once other players are defeated as this will activate the multi-ball function of the game! I actually remember playing Lords of Lunar against my cousins and having a blast doing so! Ah, memories! This last one isn’t technically an Easter Egg, but it is rather cool. Nintendo just recently announced that their latest console, the Switch will not be region locking their games anymore. That’s a huge change from the Nintendo during their early days. Even during the 8-bit days, it seems like the gaming giant didn’t want consumers importing games from Japan to the US and vice versa as they created different pin configurations for Famicom and NES cartridges. While the Famicom uses a 60-pin configuration while the NES uses a bigger 72-pin configuration. This made NES cartridges bigger and essentially makes Famicom games unplayable on the NES as the cartridges won’t fit. So, if you have an NES, you would need some sort of converter to play Famicom games. Now, if you don’t have a converter handy, well, try cracking open some of your old NES cartridges! Maybe you’ll find one in them! Instead of creating totally new cartridges with 72-pins, Nintendo of Japan made the decision to take some of the Famicom games’ printed circuit boards, plug them into a converter and call it a day. It would be possible to find converters in games like Excitebike, Mike Tyson’s Punch-Out, Urban Champions and a lot other early Nintendo releases.